When I first began leading long distance day hikes, I sought out routes along abandoned railroads beginning in northern Hunterdon County (map). While Hunterdon's system of rails was not as intricate as farther north, where mining was more prevalent, the county was home to many spur lines used to transport passengers and products to charming villages and hamlets. 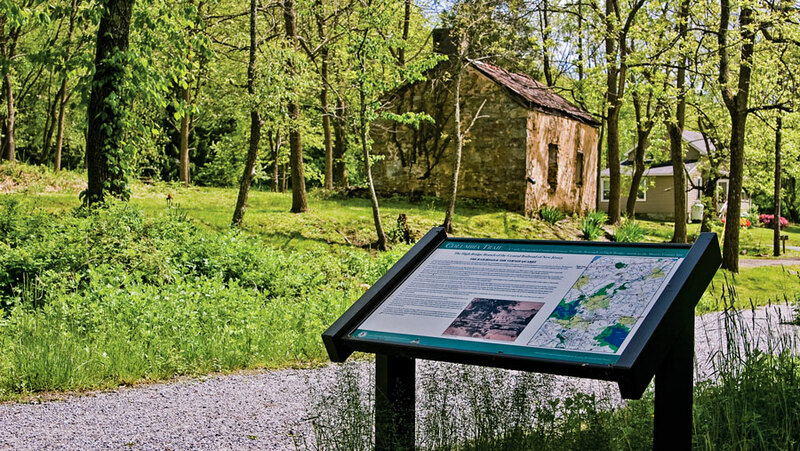 The Hunterdon section of the Columbia Trail includes occasional interpretive signs which relate the area's history. Created under the direction of Assistant Park Planner, Doug Kiovski, the signs are well laid out and contribute a great deal to the hiker's experience. Along the trail east of Califon this sign explains: "This area, settled in 1800 by Nathan Vernoy, became known as Vernoy, and did not produce iron ore but relied on limestone and its by product of burning: fertilizer. When the railroad came through this area, a spur line was constructed to the quarry. At the height of the limestone operation, the quarry employed approximately 50 men. Some of the present homes were built by people that were either employed by the quarry or the railroad." The first rail bed I came across was the former High Bridge Branch of the Central Railroad of NJ, which I had walked to some extent as a child with my grandfather. The CNJ built its main line across Hunterdon County in 1853, extending to Phillipsburg in Warren County. The most important stop in Hunterdon was the Taylor-Wharton Iron and Steel Company in the town of High Bridge. The second oldest continuously owned company in North America (1742-1971), Taylor-Wharton produced railroad material, (couplings, axles, wheels, and switches), war material, and teeth for the steam shovels that dug the Panama Canal. High Bridge took its name from a long wooden railroad trestle the CNJ used to cross the valley of the South Branch of the Raritan River. The bridge was soon deemed unsafe; trains crossing the structure would force it to sag between the piers that were constructed too far apart. Soon, the trestle was filled in with dirt in favor of the double portal stone culvert that still exists today. Later, in 1876, the High Bridge Branch opened all the way to Port Oram (Wharton) in Morris County, primarily to haul iron ore from the mines in Hibernia, Chester, Mt. Hope, Edison, and along the Wharton and Northern and Ogden Mine Railroads, with which it also connected. In addition to iron ore, the branch saw a great deal of passenger traffic enroute to resorts at Schooley's Mountain and Lake Hopatcong during the summer vacation season. Most of the line closely paralleled the South Branch of the Raritan River, making for a pleasant and scenic ride. Like most railroads in New Jersey, the heyday of the High Bridge Branch was finite, and passenger service was discontinued in the 1930s. Over the following years, the line struggled until it was finally taken over by Conrail in 1976. The line from High Bridge to Flanders was dismantled beginning four years later. In the 1990s, the Columbia Gas Company of West Virginia made use of the rail bed as a route for a buried gas line. Surface rights to the rail bed turned over to the Hunterdon County Department of Parks and Recreation and Morris County Park Commission. Many improvements to rehabilitate the line as a multi use trail occurred over the following years, including the decking of old bridges, as well as resurfacing much of the trail with a crushed stone material. One of the widest rail trails in New Jersey, the Columbia easily accommodates equestrian and bicycle traffic in addition to hikers and joggers. From the municipal parking area on County Route 513 (take 513 north from Rt. 31, pass under NJ Transit Railroad tracks, turn left through town, municipal lot is on the left), the trail is paved for two blocks. It then turns to the improved crushed stone surface to the Morris County line at Valley Brook Road where limited parking is available. 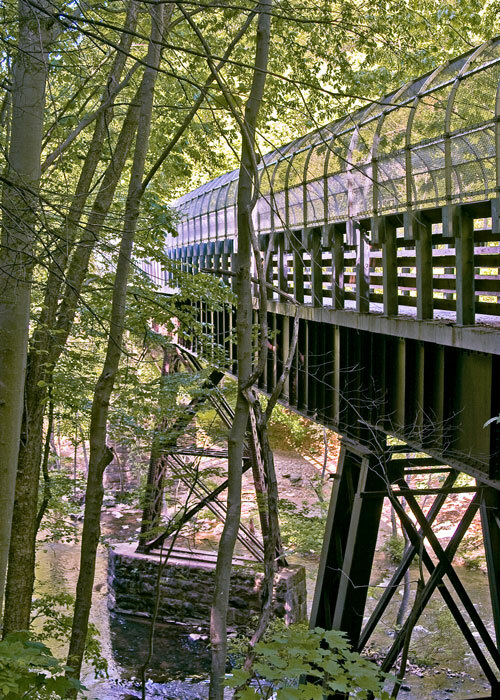 The most scenic point along the trail is within Ken Lockwood Gorge, where a 250-foot long deck style girder trestle crosses the South Branch below. This is also the location of a spectacular train wreck, which occurred 123 years ago in 1885, when a locomotive ironically named The Columbia pulling 45 cars crashed from the wooden predecessor of the current trestle. East of the gorge is the village of Califon, home to a unique stone railroad station. Now home for a heritage museum, it is open the first and third Sunday of each month from 1 to 3 pm. Constructed in 1875, the Central Railroad agreed to build the stone station with the condition that the town supply the blocks needed. These blocks came from a quarry in nearby Vernoy, which had a rail spur access. Following the trail northeast of Califon, the spur is visible on private land to the left, blocked by a few large rocks. Further on, the trail seems to end just past the Morris County line at the Jenkinson tree farm. Simply turn left skirting the farm, then right on Rt. 513 briefly, crossing near the Jenkinson Nurseries sign. This was once a station stop known as Crestmoore. As the trail continues, it crosses the South Branch once again on a much lower bridge, and then continues through Middle Valley to Long Valley. Construction is currently underway keeping the rail bed closed through parts of Long Valley. During this time, the trail can be regained by briefly following Fairview Ave. or Rt. 513/24. Both roads have access points for Gillette Trail, part of the Patriot's Path system which connects with the Colombia Trail from both locations. Beyond Long Valley, the trail continues to Bartley Road near Flanders. There is no parking available at this terminus; however, parking is available at a state fish and game lot just south of the trail along Bartley Road. The Columbia Trail is fifteen miles long -- seven miles in Hunterdon County, eight in Morris County. 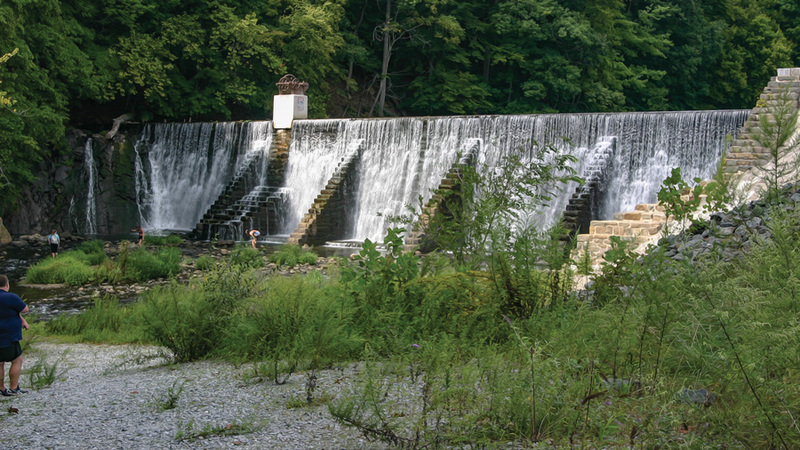 The Lake Solitude Dam has enjoyed recent publicity as it has been identified by Preservation New Jersey as one of the top ten most endangered historic sites in the state. The group's website, states, "The last known remaining New Jersey example of an I-beam dam, Lake Solitude Dam, built in 1909 by master engineer Frank S. Tainter, to provide hydro-electric power for the Taylor-Wharton Iron and Steel Company, a prominent munitions manufacturer whose history spans from the American Revolutionary War through the Korean War. "The dam holds significance for its civil engineering design and for the role that it played in permitting Taylor-Wharton ironworks, downstream, to expand. Both the dam and 35-acre Lake Solitude, created by the dam, are eligible for listing in the New Jersey and National Registers of Historic Places individually as well as part of a possible larger industrial historic district and the Taylor Iron Workers Historical Greenway connecting Columbia Trail to the Amesbury Furnace." A focal point for the High Bridge historic district is the Solitude House Museum. Built around 1725, the house became the centerpiece of Union Forge Ironworks, later named Taylor-Wharton. Five generations of Taylors lived in the house, until 1938. A county historical marker explains, "Patriots imprisoned loyalist Pennsylvania Governor John Penn and Crown Supreme Court Justice Benjamin Chew here during the Revolutionary War. They named the place 'Solitude.'" Another great rail trail trip in Hunterdon County follows the Landsdown Trail and the Capoolong Creek Trail for a 5 1/2 mile total. Both trails are former spur lines of the former Lehigh Valley Railroad (still active today as Norfolk Southern). The Landsdown Trail follows the 1882 Clinton Branch, a 1.8 mile spur that stretched from Landsdown into Clinton predominantly to carry passengers. A small single engine train called a Dinkey was used on the line. 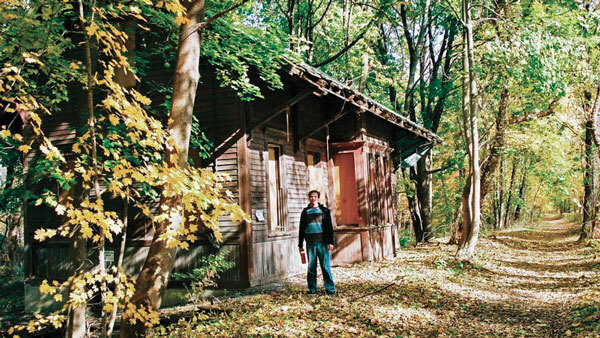 (Other short railroads have used the term as well, including the old Blairstown Railroad in Warren County, and the current short line to Princeton in Mercer County.) During the latter years of service, a single gas electric car was used on the line, and was affectionately named The Doodlebug. Passenger service was discontinued in 1936, and freight traffic was discontinued in 1982. The trail surface today is a crushed stone base, similar to the Columbia Trail. Highlights of the trail include a nicely improved deck girder trestle, an derelict rail car remaining on a piece of track, and the restored Clinton Station, the only remaining original structure on that line, now a part of Fox Lumber. The trail ends at Clinton's Main Street. The Capoolong Creek Trail, owned by the state Department of Fish and Wildlife, is a 3.7 mile rail trail beginning on Landsdown Road. From the south end of the Landsdown Trail, cross the active tracks on Landsdown Road, and enter the woods on a path to the right. The Pittstown Branch was built in 1891 and was an important line as it carried peaches, ice, lumber, animal feed, milk, and other farm products as well as passengers and coal (Pittstown was once known as the Peach Capitol of Hunterdon County). The line was abandoned, and tracks removed in 1973. The Capoolong Creek Trail closely parallels the creek (also sometimes known as Cakepoulin) for its entire length. The little bridges along the route have been decked over, and a few sections have been improved, but the tread way remains mostly original cinder base. This trail is much narrower than the more developed trails but still offers enough room for passing cyclists or horses. 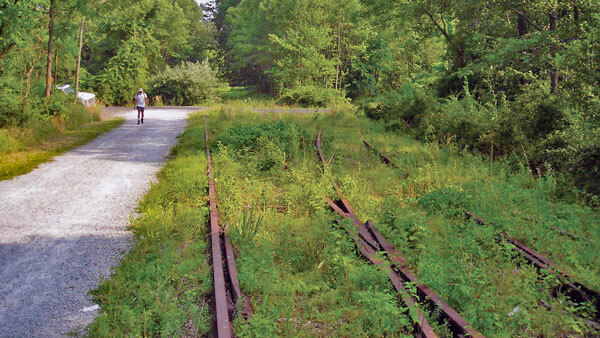 Another rail trail in Hunterdon County seldom receives attention as a former railroad because it lies within Delaware and Raritan Canal State Park. While the D & R Canal is a significant part of the trail, the entire section from just north of Trenton to Bulls Island follows more closely the route of the railroad than the canal, and north of Bulls Island the trail follows solely the rail bed, as no canal was present. The Belvidere and Delaware Railroad, more commonly known as the Bel Del ran from Trenton to Manunka Chunk (near Belvidere), and the section that now makes up the rail trail was completed by 1853. This trail, with an improved crushed stone surface offers superb views of the Delaware River as well as the Delaware and Raritan Feeder canal, which it closely parallels. The northern terminus of the trail is a field just south of Milford (Hunterdon County) where the official trail dead ends at an old farm lane. The railroad abandonment to the north lies within private land. Access to the trail is located in nearby Frenchtown, where parking is available slightly over a mile south along Bridge Street. There is also access on 12th Street in Frenchtown, however it is encouraged that visitors utilize the parking just off Bridge Street. From Rt. 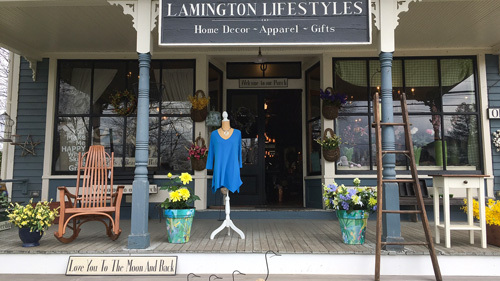 29 in Frenchtown, take Bridge Street toward Pennsylvania, and just before the bridge, turn left on Railroad Avenue where parking is available along the river just past the Bridge Cafe.